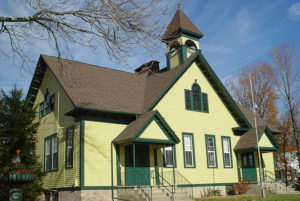 The Burrillville Historical and Preservation Society has been in existence since February of 1970. Since that time, it has strived to preserve the history of our town by oral histories, slide show presentations on the individual villages in Burrillville, working with the Historic District Commission in its placement of Harrisville and Oakland on the National Register, cataloging the cemeteries, and in various other ways. There are many aspects of preservation, but the participation of the people is the most important one. Support us with your ideas, active membership, historical information or articles, and thoughts about the goals this organization should strive to reach in the future. The Burrillville Historical & Preservation Society meets on the fourth Tuesday of each month at 7:30 pm at the Bridgeton School. All programs are open to the public.